Lark Health is the leading chronic disease prevention and management platform using proven, A.I. health coaching to deliver better health outcomes at scale. Lark uses cutting edge A.I. 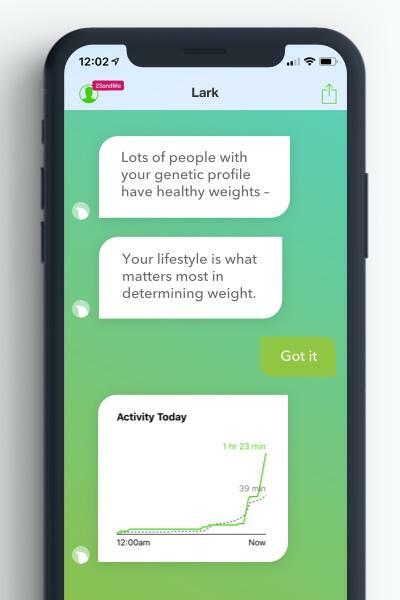 and connected health monitors, which can be combined with human coaches, to provide real-time, personalized, 24/7 support and counseling to help users make healthier choices and manage their conditions. Lark’s CDC-recognized Diabetes Prevention Program (DPP), Wellness Program, Diabetes Care Program, and Hypertension Program have 1.5 million users and have demonstrated clinically validated improved health outcomes published in 11 peer-reviewed journals and analyst reports. Lark’s works with some of the largest payers and self-insured employers to help their members live healthier lives. Founded by CEO Julia Hu, the company was named “Most Innovative Digital Health Product of the Year" by Forrester Research, "Top 10 Most Innovative Companies in the World" alongside Uber and Airbnb, and Google's "Best of the Year". To learn more, visit www.lark.com. 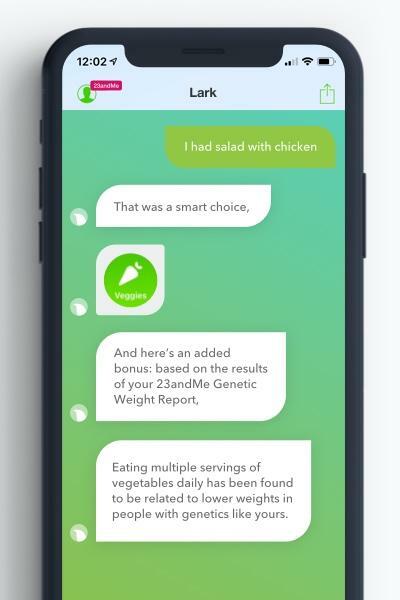 23andMe, Inc. is the leading consumer genetics and research company. Founded in 2006, the mission of the company is to help people access, understand and benefit from the human genome. The company was named by MIT Technology Review in its “50 Smartest Companies, 2017” list, and featured as Fast Company's #2 Most Innovative Health Company in 2018. 23andMe has millions of customers worldwide, with more than 80 percent of customers consented to participate in research. 23andMe, Inc. is located in Mountain View, CA. More information is available at www.23andMe.com. 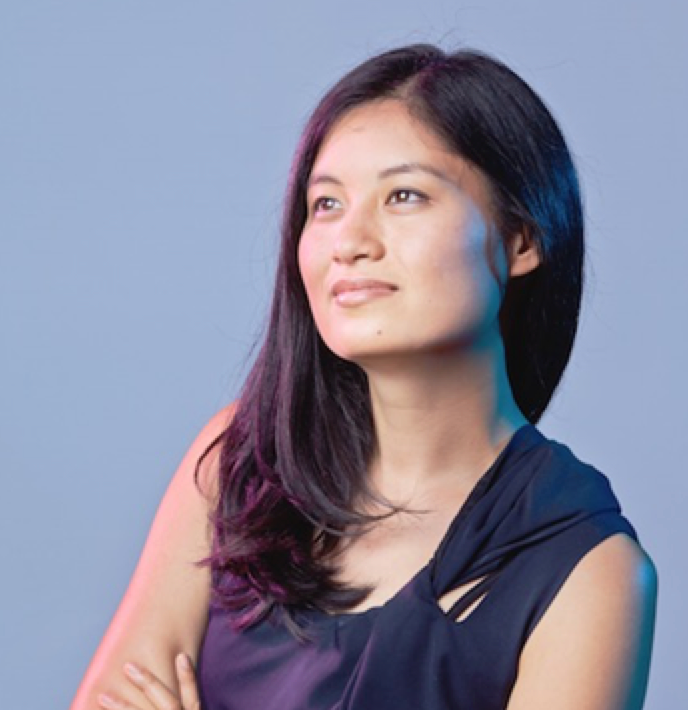 Julia Hu founded Lark Health to make healthcare more personal and caring. Having managed her own chronic disease her whole life and seeing the need for a 24/7 personal health team, Julia brought together health experts and coaches from Stanford, Harvard and the NBA and together with experts in artificial intelligence and data science, they developed Lark- a 24/7 personal health coaching service that is proven to help people manage their chronic condition. Named "10 Most Innovative Apps in the World" alongside Uber, Airbnb, and Wechat, and “Most Innovative Digital Health Product of the Year” by Wall Street Analyst Forrester Research, Lark works with health plans and employers to manage and prevent chronic diseases. Julia is a Board Director at the Council for Diabetes Prevention and the Silicon Valley Leadership Group, whose members represent 1 of every 3 private sector jobs in Silicon Valley. Julia stays fit by attending hip-hop dance classes and chatting with Lark about her snacks. 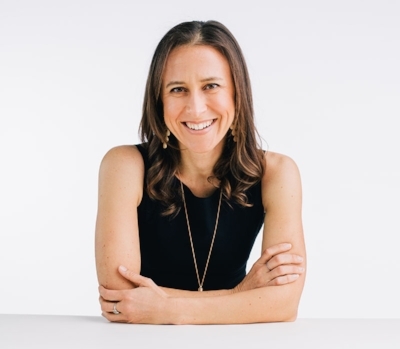 Anne co‐founded 23andMe in 2006 after a decade spent in healthcare investing, focused primarily on biotechnology companies. Her hope was to empower consumers with access to their own genetic information and to create a way to generate more personalized information so that commercial and academic researchers could better understand and develop new drugs and diagnostics. Presently, 23andMe has built one of the world’s largest databases of individual genetic information. Its novel, web-­based research approach allows for the rapid recruitment of participants to many genome-­‐ wide association studies at once, reducing the time and money needed to make new discoveries, and the company has created a proven and standardized resource for finding new genetic association and confirming genetic loci discovered by others. Under Anne’s leadership 23andMe has made significant advances in bringing personalized medicine directly to the public. Anne graduated from Yale University with a BS in Biology. Getting access to and understanding her own genetic information had always been one of her ambitions. Already a 23andMe customer? Download Lark.